I asked drummer Steven Menasche to record an improvised-jazz album based on Ghosts and Ballyhoo. He added guitarist Ron Kukan, keyboardist Jai Young Kim, and Scott Thunes on bass. Since the music is completely improvised, it was important that Steven not consult me in any way. I wanted to see what four musicians’ take would be on my book. What they did was adapt chapter titles, write them on slips of paper, put them in a hat, and choose them blindly. Then they improvised pieces for them. Steven also decided to name the album after the book, although I didn’t ask for that. I love the album. It’s hard to put my finger on what makes this jazz improvisation so much better than others. Probably because there’s no show-offery or pretentiousness. 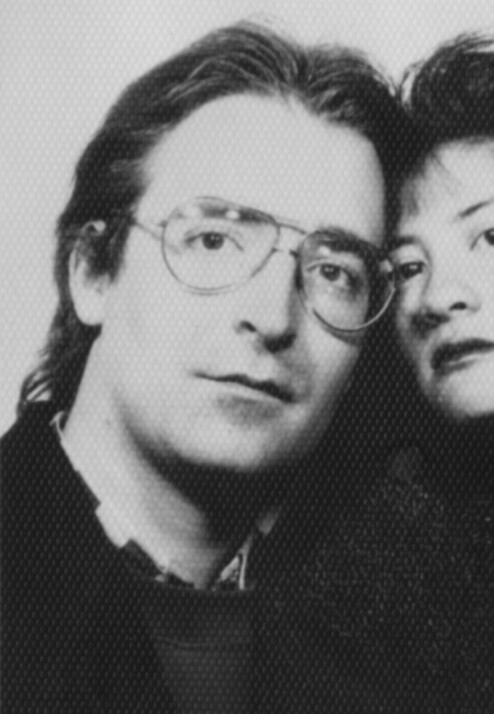 There’s a sort of joyful humility and sincerity that “experimental” music often lacks. The female guitarist wore a black miniskirt; stockings divided into horizontal black-and white bands; black stompy boots with buckles; and a purple, satin man’s shirt unbuttoned to show her black bra. Her hair was wound into two bulbs that looked like Mickey Mouse ears. It was an abomination, but one that they made people pay to see. That’s what improvised jazz was to me, until I heard Steven, Ron, Jai Young, and Scott’s approach. On another Website I found a new term: “fuzac”: fusion-muzak. This is about as far from fuzak as you can get. My favorite track on Ghosts and Ballyhoo is “Recognizing the Pig,” inspired by pages 268-269 of the book. 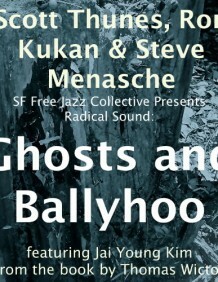 All proceeds from the album go to…whomever they go to at the San Francisco Free Jazz Collective. I don’t get a penny, which is what I requested. So buy the album and dump loads of bucks into the pockets of people other than me. Click here for the interview Scott Thunes gave me about the album. Sample of "Recognizing the Pig"
This is a recording of me reading pages 163 to 169 of In Cold Sweat, the introduction to my interview with Scott Thunes, which I conducted on October 7, 1996. Accompanying me are Ak & Zuie, consisting of Stephen Jay on eight-string bass and Pete Gallagher on percussion. We performed at a Borders bookstore in Montclair, California, on March 22, 2002. Ak & Zuie played for an hour, and then I did my reading, took questions from the audience, and signed copies of the book. I hated making personal appearances. Though I was once a semi-professional bassist, I suffer from incurable stage fright. You can hear it the overly precise way I speak in this recording. Also, at every reading there was always one extremely hostile person who insulted me nonstop; one indifferent person who sat in front of me, ostentatiously reading someone else’s book; and one insane person who gibbered about Project MKUltra, Jews, or minibars. These three archetypes—represented by different individuals—were present at each of my appearances. Being housebound really isn’t bad compared to doing book readings. The green flyer is one of the dozens I made and left in the Montclair Borders on March 15. The night of my reading, people wrote their names on the flyers and dropped them into a large plastic jug, and we raffled off a copy of In Cold Sweat and an Ak & Zuie CD. One of my fans put a special message in the jug for me. It’s on page 169 of Ghosts and Ballyhoo. In 2002, after I realized I’d never play bass again due to osteoarthritis, I threw away dozens of bass-and-drum-machine tapes I’d made. Listening to them made me almost homicidal with rage. I’d recorded a version of Ravi Shankar and Philip Glass’s piece “Ragas in Minor Scale,” from the CD Bridges [Private Music]; I did only the first half of the piece because the second has the flavor of an Aaron Copland composition. Copland’s work conveys a very different mood. The piece took me to much nicer places, which is why I made sure the tape went into the trash. In early April of 2013, I found it in a box of paper ephemera. Of all my performances that I threw away, this was the one I missed the most and wished I could hear again. In a fugue state of anger and self-pity, I thought I tossed it but never actually did. Maybe. At any rate, I’m very grateful that I still have it. Thanks to Stephen Sherrard for cleaning it up as well as he could. Finding the tape inspired me to take out my bass effects, which I hadn’t looked at since 2002. 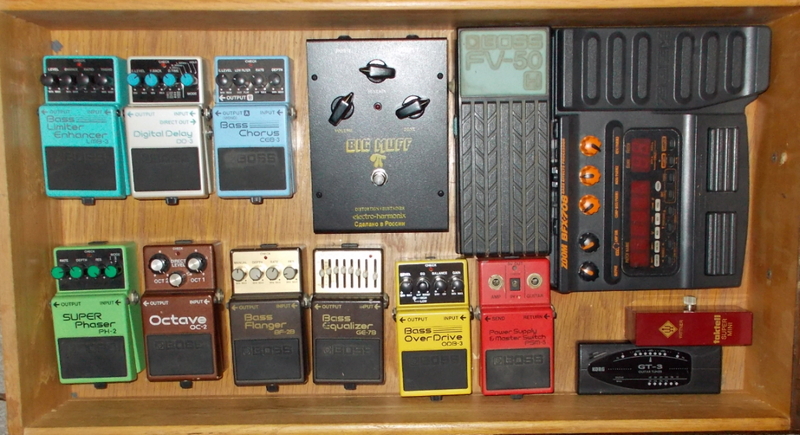 My wah-wah pedal is gone; I gave it to my brother Eric. But everything else is still there, in a desk drawer I hadn’t opened in over a decade. It’s good to see them again. On the night of April 29, 2013, I dreamed for the first time since 2002 that I was playing the bass. It was the Carmen bass, and I used the Bryan Beller Dethklok technique. It worked like a charm! 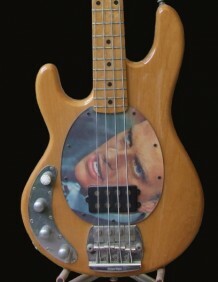 I can still play the bass, if only in my dreams. Near the end of writing Ghosts and Ballyhoo, I began having nice dreams about Carmen again, a sign that I was no longer angry at her. It appears that I’m now genuinely at peace with losing the ability to play the bass. In the dream I shredded. It was sheer bliss to feel the strings against my fingers again and to hear music I created myself. So thanks for the technique, Bryan. I plan to use it a lot. 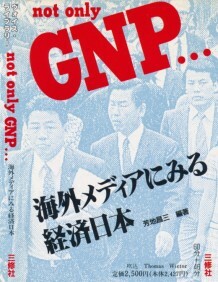 This is part of an audio book I narrated, titled Not Only GNP…, by Shōzo Hochi (Sanshusha Publishing Company). It’s an hour and forty-six minutes of me jabbering away in nearly total ignorance of the topic. For example, I didn’t know it’s pronounced “Zuh-BIG-nyev Bruh-ZHIN-ski.” My stilted, almost sarcastic delivery was exactly what the client wanted, so that’s what I gave him. I did voice-over work almost every day. It was incredibly lucrative. The Japanese loved my voice, but when I returned to the States, I was never hired for even a single job. In the U.S. they prefer the phlegmy rumble of the chain-smoking, fifty-year alcoholic. My ageless tenor is off putting because it smacks of a testosterone deficit. Listening to this tape after so many years brought back the day Emperor Hirohito died, January 7, 1989. Carmen and I woke up late that morning. We’d spent a long night getting reacquainted after her two week-absence and my decision to not cheat on her. When we turned on the radio, they were playing sombre music on all the stations. The same music was on every the TV channel, along with film of the Japanese flag waving in the breeze. “I’ll bet Hirohito died,” Carmen said. We got dressed and went out, and there was nobody on the streets. It was exactly like the movie The Omega Man, when Charleton Heston drives through a desolate Los Angeles. We may as well have been the only two people on earth. If I’d had to choose a single companion with whom to share the planet, there was nobody I would’ve wanted more than her. But it wasn’t the Apocalypse, and Carmen and I weren’t destined to be together forever. Still, walking with her through the empty city on that silent, historic day was truly an otherworldly experience, not to be repeated in a lifetime. I’m glad that of all the people I’ve known, she was the one who was at my side, holding my hand and marveling as I did at the impersonal, cataclysmic power of change.